The competition for market dominance is rising. However, there are some key differences between these products–namely, one is making its technology and journey onto store shelves highly public; the other is shrouded in mystery. Sirin successfully raised $158 million to fund the development of the Finney, in December of 2017. The company announced in early April of this year that Foxconn would be manufacturing the phone. Taiwanese tech manufacturer HTC and its mysterious Exodus smartphone have been the subject of much discussion in the blockchain industry this year. 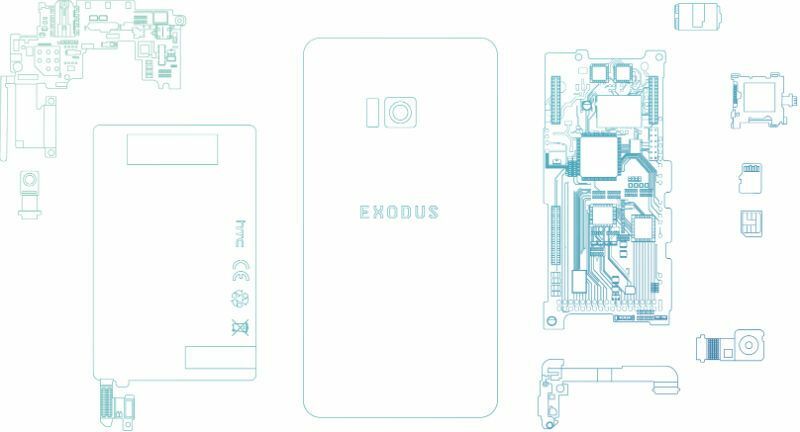 While few details have been released about the Exodus, the company did give the world another glimpse into its plans to develop the smartphone at the RISE conference in Hong Kong this week. Most importantly, an approximate timeline was given for the release of the phone–no specific date has been given, but HTC said that the public could expect to see its product on shelves in Q3 of this year. So far, all they’ve gotten to see is a blueprint of the Exodus. Despite the eyebrow-raising lack of information, HTC is touting its project as the “world’s first major blockchain phone.” Indeed, the company has referred to itself as “the leading innovator in smart phone devices,” a claim that may or may not have any logistical backing. One thing that we do know for sure is that HTC has partnered with CryptoKitties, an Ethereum-based game that sent the blockchain into a tailspin with massive amounts of small transactions in December of 2017. While it’s still too soon to know for sure what the future will hold, it seems clear that at this point in time, one company is much further along in its development than the other. Additionally, an increasing number of firms (including Blacture and Embedded Downloads) have announced that they are developing blockchain smartphones of their own. The race is on, but indeed, it has barely begun.